Pregnancy is a trying time for any woman. From our mothers telling us to avoid this and that, to friends giving us their two cents on what we should or should not do, to strangers adding their random opinions to the growing list — getting through pregnancy without becoming overwhelmed by all of these opinions can be challenging. While some opinions your doctor will confirm as nothing more than silly myths that you can ignore, others can be dangerous to you or your baby. Here are the top 10 myths you should dismiss during pregnancy. Doctors agree that pregnant women do need to eat a bit more than those who are not pregnant. However, this should only result in an addition of approximately 300 calories to your diet. Not a thousand or more. You are not eating for an army. 2. Cocoa butter will prevent stretch marks. This is false. In fact, cocoa butter has been found to make our skin even more sensitive, and for some women, it can even cause an allergic reaction (which is something, obviously, to avoid when pregnant). 3. You can’t touch your cat. While petting your cat during your pregnancy is completely fine, you should not clean your cat’s litter box during this time because of the risk of toxoplasmosis. 4. You can’t take hot baths to relax. Really hot baths when you’re pregnant should be avoided. You should also avoid things like saunas and jacuzzis because they will raise your body temperature “over 102 degrees,” which is not good for your baby. Eating three meals a day is good, but when you are pregnant it is better to eat five to six small meals throughout the day, from various food groups as they will keep your blood sugar in a constant range, which is healthy for you and your baby. 6. A big baby is a healthy baby. The average baby weighs about seven and a half pounds, and bigger babies are more at risk of suffering from obesity and diabetes as they grow older. 7. A small baby is a healthy baby. While a big baby has its disadvantages, a small baby also comes with a number of risks. A smaller baby can suffer from serious health problems as a toddler and an adult as compared to a baby with normal weight. 8. You should stop working out. Staying active while pregnant is so important to prepare yourself for birth and to be at your healthiest for your baby during this time. And although you should avoid high intensity workouts, you really should continue working out the entire nine months. 9. One drink won’t hurt the baby. Some people allow themselves a sip of wine, while others abstain completely. 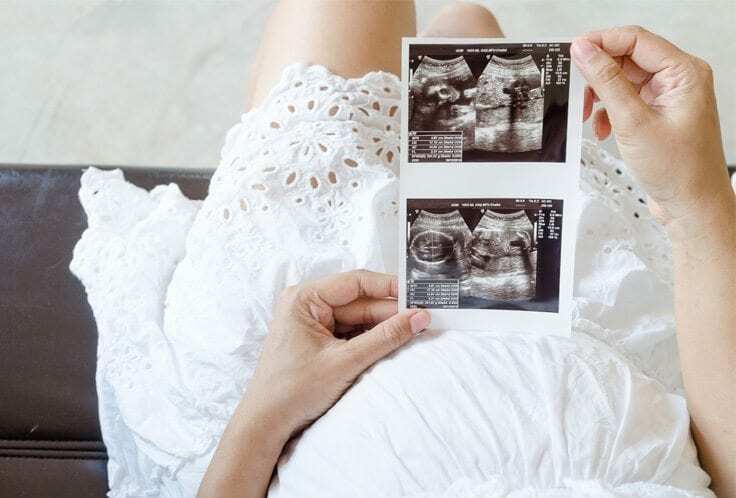 And while much of this myth depends on the mother in question, studies have shown that drinking during pregnancy comes with an increased risk of fetal alcohol spectrum disorders (FASDs). 10. Smoking won’t affect the baby’s health. Some women smoke during their first pregnancy and when they see that their baby is fine, they think they can get away with smoking during their consequent pregnancies. But studies have shown serious health risks that smoking can cause for baby — so even if the health issues are not evident — abstaining from smoking during this time is highly recommended by medical experts all over the world.